« Simplifying Your Social Media: Social Media Audit & Content Calendar Creation: Gearing Up for 2019! Is your business’ social media presence seriously lacking some spark? Want to gain more followers? Are you completely lost on what content to create? Don’t worry! 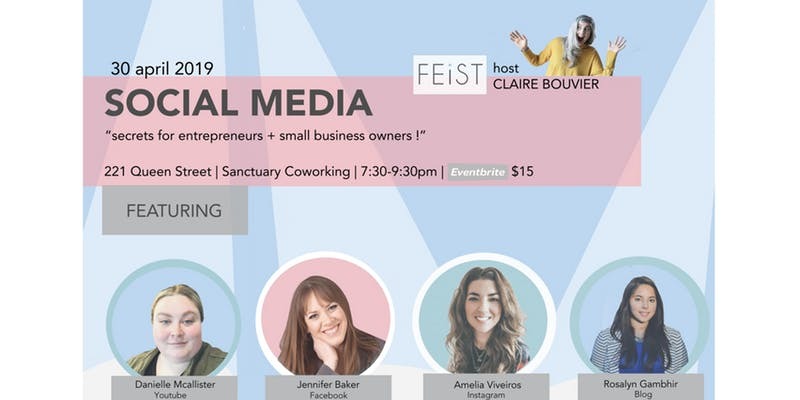 FEiST (Female Entrepreneurs in Small Towns) has you covered! Come spend the night with us and learn the tips and secrets to running a successful social media account that is not overwhelming and sustainable! You’ll learn from four of the best social media gurus around – from how to curate an aesthetically pleasing Instagram, to when to post on facebook to writing a successful blog, to tips on breaking into the world of YouTube. Now is your chance to ask the pros how they do it and how you can do it too! You don’t want to miss this!